From humble beginnings at a card table in a brewery to its brick-and-mortar opening, Wonderland Gear Exchange welcomes newbies and seasoned outdoors enthusiasts alike, with affordable gear and a mission to make the outdoors accessible. 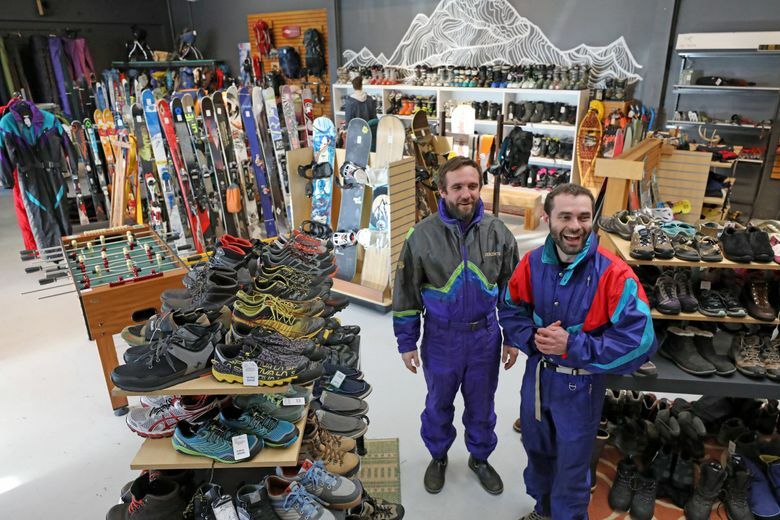 College pals Ben Mawhinney and Nate Seiberling had floated the idea of opening a secondhand gear store for a while, but it took a 10-hour snowy car ride for them to get serious about putting their dreams into action. Originally from New England, young outdoor enthusiasts Mawhinney and Seiberling noticed something lacking when they moved to Seattle a handful of years ago: There was no down-to-earth outdoors store focused on used gear and apparel. Flash forward one year later, and their dream has become a reality. It’s called Wonderland Gear Exchange. 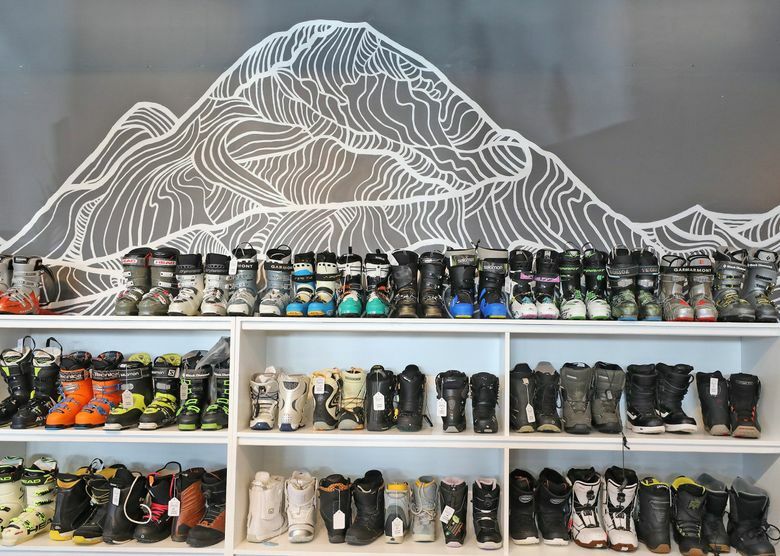 Selling everything from skis and snowboards to mountaineering boots and down jackets, Wonderland Gear Exchange opened in late November in Seattle’s Crown Hill neighborhood in a 4,000-square-foot space at 7750 15th Ave. N.W. It had been previously occupied by a CrossFit gym. The reception, so far, has been positive — if slightly overwhelming. “It’s really taken off faster than we expected, which is exciting,” Mawhinney said. He and Seiberling, he said, were in the process of hiring their first two employees to keep up with a growing number of customers. The shop has been especially popular among those who are new to the outdoors, Mawhinney said. Gearing up for a hobby like skiing or rock climbing can be prohibitively expensive for those starting from scratch, and buying used gear is one way to keep costs down. Take, for example, what you’d need for a simple overnight backpacking trip in the Cascades. An afternoon trip to REI to pick up basics like a pack, tent, camp stove, sleeping bag and sleeping pad could easily set you back more than $1,000 — that’s a steep price of admission when you don’t even know if you’re going to like huffing around the wilderness with all that expensive gear strapped to your back. 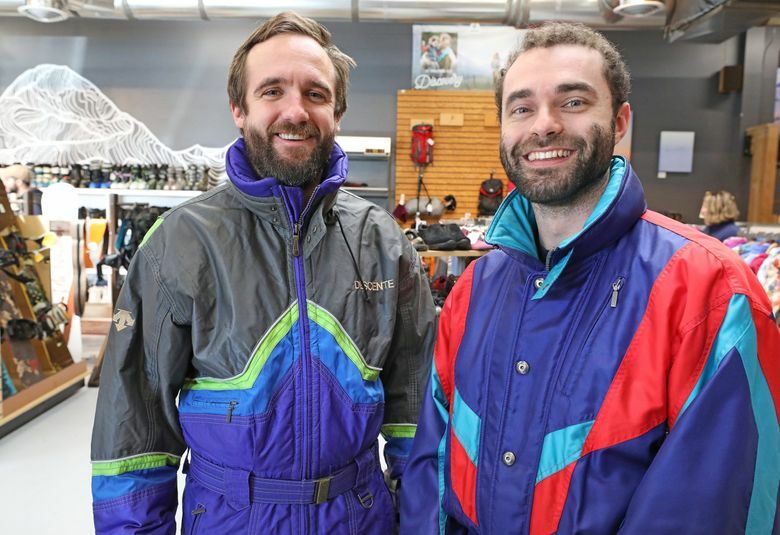 But shortly after the shop’s opening last fall, brand-name, secondhand versions of those five items were available for a grand total of $400 at Wonderland Gear Exchange. For many newbies — or folks who just love a good deal — online platforms like activity-focused Facebook groups are a godsend for finding cheap used gear, and even Mawhinney admits that opening a brick-and-mortar store these days “feels a little insane.” But as he points out, those forums can be intimidating and tough to access if you’re not already socially connected with other outdoor enthusiasts. 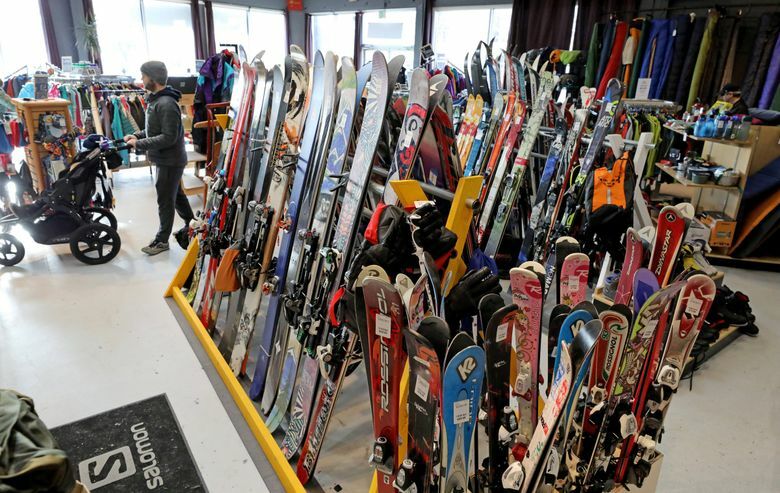 “It’s really hard to go on Craigslist and buy your first pair of skis, unless you have a friend telling you what you should be buying,” Mawhinney said. He and Seiberling say they want to do their part to make the outdoors accessible to a wider range of people. In addition to consigning and selling gear, they aim to provide a welcoming space for people of all ability levels to learn and make connections — whether in the form of organized workshops or casual conversations. 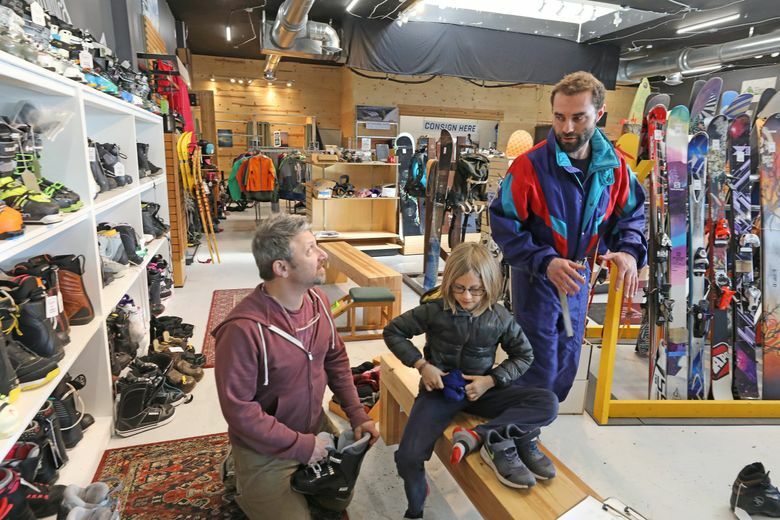 In January, the shop held a seminar on training for ski season, and in the spring it will host a free gear swap in partnership with SheJumps, a nonprofit that promotes the participation of women and girls in outdoor activities. They envision Wonderland Gear Exchange as a laid-back shop where it’s OK to ask basic questions, “a safe place where you’re not gonna be judged for your level of your outdoorsing,” said Seiberling. Aside from lower costs, the other big benefit to using secondhand gear is environmental. Selling or donating your used items keeps them out of a landfill, and avoiding new purchases helps cut down on the demand for manufacturing, thereby reducing pollution and carbon emissions. As concern continues to grow about where our gear comes from and how it’s made, retailers like Patagonia and REI have started selling used apparel online, and made efforts to help consumers repair items instead of replacing them. People who value outdoor recreation are often the first ones to witness the effects of climate change, like shrinking glaciers and rising freezing levels. For Seiberling, the decision to launch an environmentally conscious business was about aligning his professional aspirations with his personal values. “You can’t totally slow down this beast that we created as humans, but this seems to be the right direction to be moving in right now,” he said. 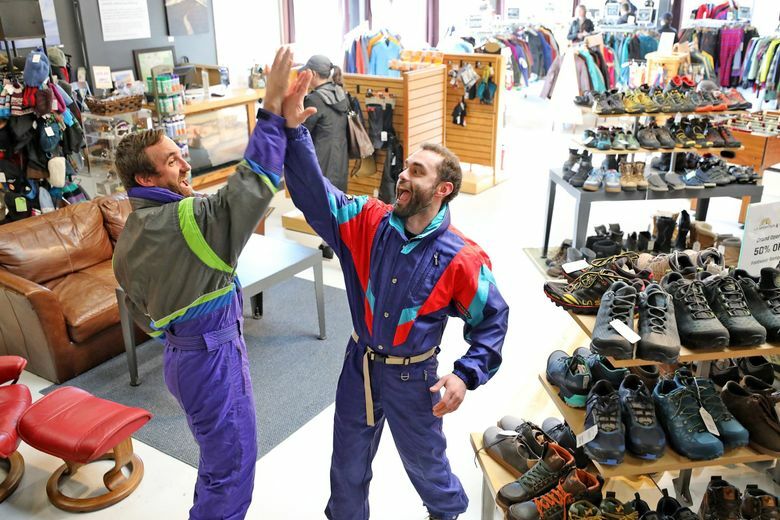 There are a handful of other businesses in Seattle that purchase secondhand items — such as Ascent Outdoors in Ballard and Play It Again Sports in South Lake Union — but Wonderland Gear Exchange is one of the only shops offering full consignment services for a wide range of gear and apparel. Sellers opt to receive either a cash payout or store credit when the item sells, with the amount ranging from 40 to 90 percent of the sale price. As of Jan. 1, the shop had 600 consignors in its database, with people coming in from as far away as North Bend to drop off items. It’s been a quick ramp-up for a project that started humbly last summer, when Mawhinney and Seiberling set up a card table at a local brewery and offered discounted pints in exchange for used gear. But even after working 90-hour weeks for the last three months, Mawhinney says seeing the community rally around the concept has been really exciting. “It seems like we’ve struck a chord on the need and desire to buy and sell used gear,” he said. Where else can you buy (or sell) used gear? How selling and trading works: Ascent Outdoors prices the item and then offers 50 to 75 percent store credit to the seller. How selling and trading works: Play It Again prices items on the spot and offers sellers 30 to 50 percent of the total amount in cash or store credit. How selling and trading works: Cash or store credit. How selling and trading works: REI’s flagship Seattle store now sells a limited selection of used items in the members-only “Gear Loft” and hosts periodic garage sales. The products all come from customer returns, so selling and trading aren’t available at this time. 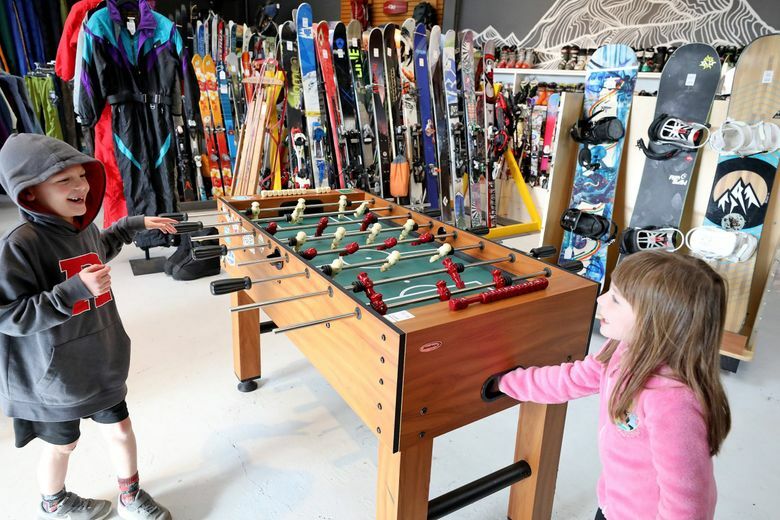 What they sell: Second-hand sporting goods and outdoor gear for all ages and numerous activities, including snow sports, soccer, baseball, cycling, and more. How selling and trading works: Trade-in available for gently used equipment and apparel. An earlier version of this post contained inaccurate information about Ascent Outdoors’ trade-in policy. When customers consign their used outdoors gear at the shop, they receive between 50 to 75 percent of the item’s retail price in store credit. 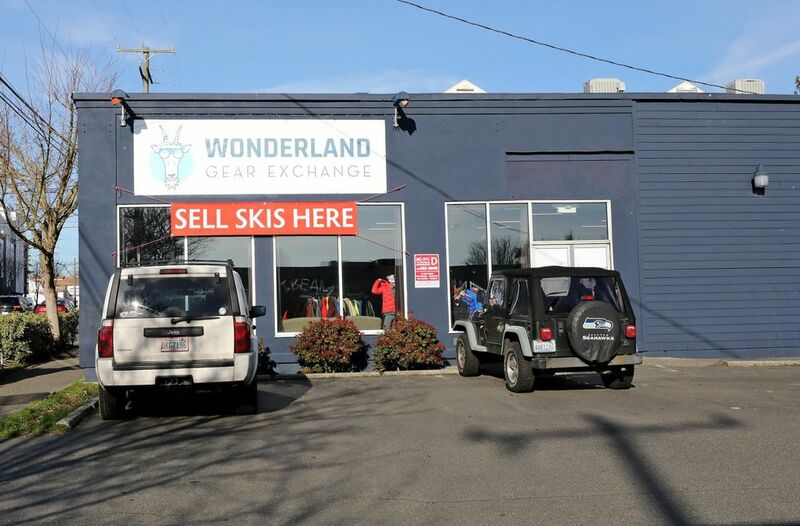 The headline of this story has also been changed to reflect the fact that Wonderland Gear Exchange is one of a few used-outdoor gear stores in the Seattle area. Caitlin Moran: on Twitter: @caitlinjmoran. Caitlin Moran is a Seattle-based writer and editor.